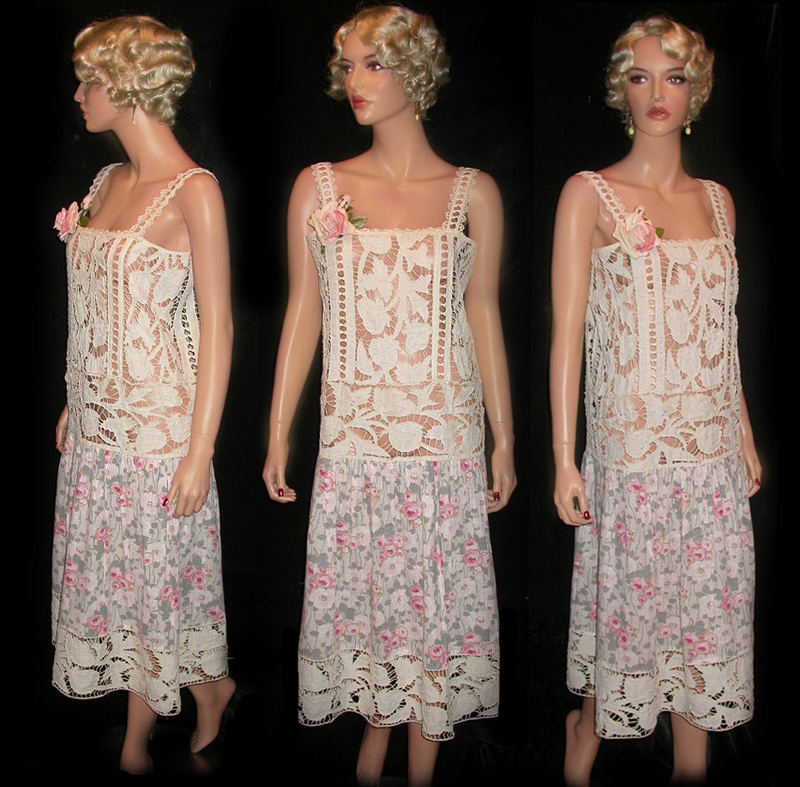 This Lovely 1920's Mixed Light Ecru Cutwork Linen Needlelace with a pretty Deco Nouveau Rose Linen Print Frock has a flattering Slim Sacque Shape for the bodice with Very Dropped Waist & Gathered Skirt. 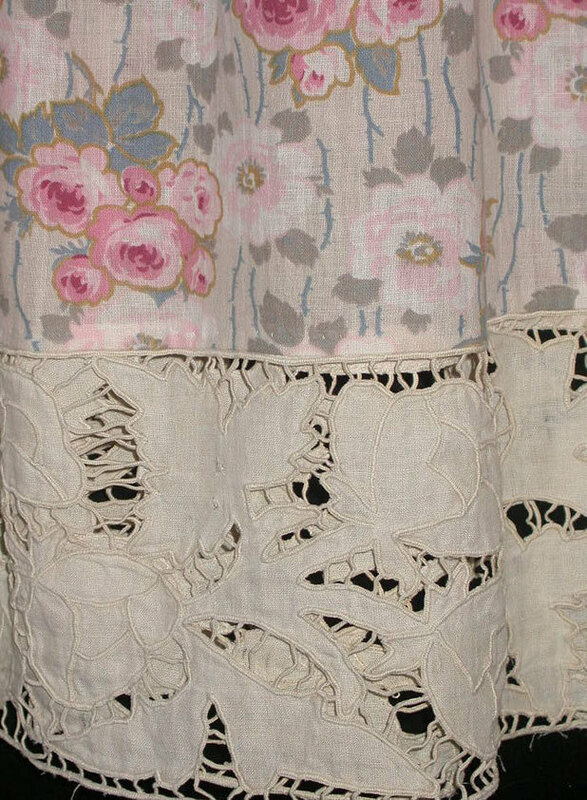 Gorgeous Bold Art Deco Abstract Floral Hand Embroidered Design in Silk on the Linen Trim, with Varying shades of Rose for the Skirt..
Pullover style. The Linen is very lightweight, but not sheer. Vtg Linen & Velvet Rose Brooch for accent. I would consider this Garment to be a MEDIUM. 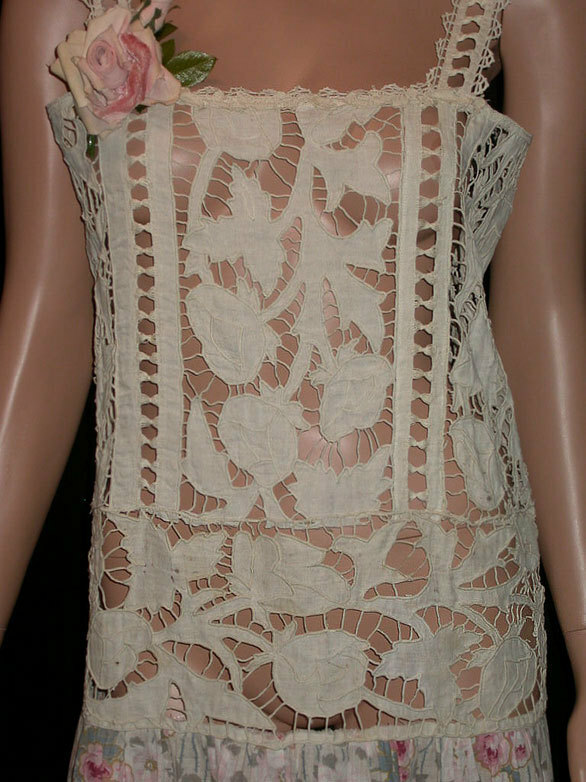 There are Quite a few small repairs on the Cutwork lace. These are in the linen flower areas and are reweaves, or small interior patches. 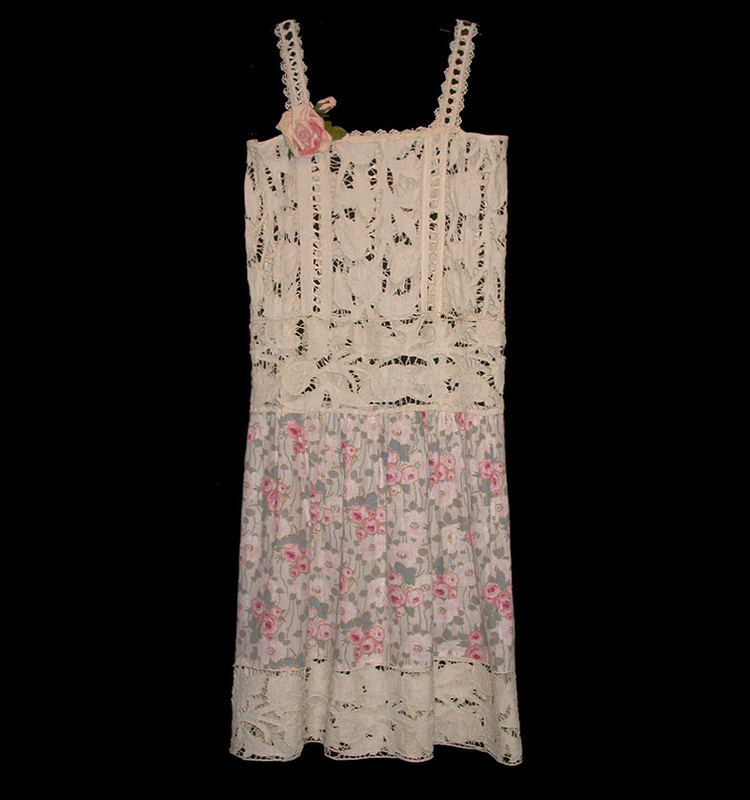 There is general overall surface wear on the dress as you would expect. The dress looks like it was worn quite often, but came through the dry cleaning very well . One or two small holes in the skirt fabric. No dark stains, or other damage. Otherwise it is Sound, ***has been dry cleaned***, pressed and is ready to wear. This is one of those so hideous it's rather pretty pieces. It's clearly homemade and I had to add it just as a record. Late 1840's Wedding Gown with Shoes!